The Council #12387 On-Line Store Is Here ! Welcome to the "Council #12387 On-Line Store" where you can pay your dues, donate to Support Our Seminarians, Gibault Raffle, and many of our other regular charities, causes, and programs on-line! Select everything you wish to pay for or donate to from the list below, or scan through the individual Announcements following this one. Just collect everything together in your Shopping Cart, then checkout quickly and easily at the end through our PayPal account by entering your credit card payment info just one time for everything! You can't get any easier than that - so catch up on those dues and help support your favorite charities ! Council #12387 Charity Golf Outing - June 17th ! CLICK HERE for sponsorship and registration info ! Please join us for a day of fun and also show your support to benefit the Little Sisters of the Poor, Gibault Children's Services, and St. Elizabeth Seton Catholic Church! Council #12387 and Plum Creek Golf Club are inviting you to our Annual Charity Golf Outing on Monday June 17th starting at 11:00am. Just click above for more information, then complete and return the Sponsorship Opportunities and Registration Form and your check payable to KNIGHTS OF COLUMBUS, 10655 Haverstick Road, Carmel, IN 46033. CLICK HERE for more information about Little Sisters of the Poor ! Register for our June 17th Charity Golf Outing with a portion of the proceeds benefiting Little Sisters of the Poor St. Augustine Home! You Can Now Pay Your Annual Dues On-Line ! Pay your annual dues on-line through our quick and convenient PayPal account! Regular Members are just $45/yr and Honorary Members are just $10/yr. After you select your Dues Amount in the box below, please also enter your Membership Number so we can properly record your payment. After you click Add to Cart below and see your dues amount on your Shopping Cart page, please click Continue Shopping from your Cart page so you can return here and easily make your Support Our Seminarians and Gibault Raffle payments in the next section below! Make Your "Support Our Seminarians" Donation and Buy Gibault Raffle Tickets On-Line ! While you're paying your annual dues, don't forget to make your SOS Contribution and get your Gibault Raffle tickets - quick, easy, and convenient! Underneath the Support Our Seminarians Donation box below, click Add to Cart. Then on your Shopping Cart page just use the SOS Quantity arrows to increase your donation by $10 increments until you have the donation amount you wish to make. Then click Continue Shopping on that page to return here and get your Gibault Raffle tickets in the same way. Underneath the Gibault Raffle box below, click Add to Cart. On your Shopping Cart page use the Gibault Quantity arrows to increase the amount by $5 increments, until it shows the total amount you want. CLICK HERE for more information about Gibault Children's Services ! Register for our June 17th Charity Golf Outing with a portion of the proceeds benefiting Gibault Children's Services ! Now you can easily donate on-line to our most common Council charities ! Our Council #12387 is blessed to be able to support a wide range of charitable causes. The poor, the hungry, the homeless, the frail and elderly, those with mental and physical challenges, those who have devoted their hearts and minds to a life of religious vocations, young Mothers who are struggling to make a Pro-Life decision, and the needs go on and on. If you feel called in your hearts as we do to help these individuals, then select one of our COMMON COUNCIL CHARITIES from the list below. Click Add to Cart below and make whatever donation amount you wish, in $10 increments, by increasing the Quantity in your Shopping Cart. Before you Checkout, click Continue Shopping on your Cart page to return here and contribute to as many charities as you wish. Then Checkout quickly and easily just one time at the end, through the convenience of your PayPal account or credit card. If you don’t see your desired charity, simply select Other Desired Charity in the list below, and enter the charity's name in the Name of Other Desired Charity box below. Santa Maria Awards Program Continued for Member Service and Involvement ! CLICK HERE to see the Santa Maria Awards Program for Member Service and Involvement ! Our Santa Maria Awards Program is being continued for the 2018 - 2019 fraternal year! This program promotes increased member participation in Council activities and service programs, by not just recognizing members who are already engaged but by also encouraging more and different members to become more involved. Click the above link for program details! CLICK HERE for the Member Interest Survey ! We're inviting all members to complete a simple but important 1-page Member Interest Survey which should not take long to complete. Just print out and mark your areas of interest. Also let us know what we can do to improve existing programs. Completed forms may be dropped off at our next business meeting or at the KofC SCRIP desk in the Commons before or after weekend Masses. Your input is very much appreciated! Charitable Contributions Over $74,000 for 2018 ! CLICK HERE to see Council #12387 2018 Charitable Donations ! Bishop Fulcher Council #12387 donated $74,157 to various charities during calendar year 2018! St. Elizabeth Ann Seton Parish, Seminarians, Down Syndrome Indiana, Special Olympics Indiana, Gibault School, Little Sisters of the Poor, and Guerin Catholic High School Scholarships were just a few of the many charities that we supported. Our sincere thanks to all of our event and committee chairmen for their passion and hard work to make this possible. Click the link above to learn more. UKNIGHT MARKET CENTER ADVERTISING OPPORTUNITIES ! CLICK HERE TO SEE MORE DETAILS AND INFORMATION ! 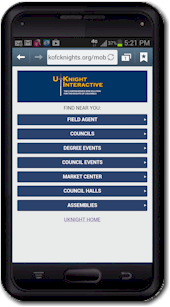 The UKnight Market Center is a business directory for member-owned and member-recommended businesses to advertise their products and services on our Council's website. The advertisements are visible to both Council members as well as the entire general public visiting our website. And best of all - 50% of the fees paid to place an ad go directly to our Council #12387 to help our many charities and worthy causes! Don't delay - place an ad today, or recommend a business that you know! Volunteer to Mentor a New Member ! Our Council's membership and recruitment efforts are in high gear, and we're inviting interested existing members to serve as Mentors for our new Brother Knights. This program and your role are designed to get our New Members active and engaged in our Council activities right after their First Degree Ceremony. Our Council is vibrant and energetic, with a host of service programs and opportunities that are certain to appeal to our new Brother Knights. Contact our Deputy Grand Knight to volunteer in this important effort! CLICK HERE to see a partial list of SCRIP cards in-stock ! Volunteer Knights are still needed to work the SCRIP table at all weekend Masses. By selling SCRIP cards to fellow parishoners, funds are raised that are split 50/50 between the Knights and SEAS. Typically the Knights raise over $4,000 from our share of this simple and easy funraiser! This is one of the easiest yet least time-consuming ways you can help your Council! All it takes is a couple of hours, every few weeks, at whatever normal weekend Mass you typically attend. Just man the table and sell before Mass, then attend Mass, and then sell for a little while after, and you're done! Please consider volunteering for this simple role which takes minimal investment of time, but would be a big help to our Council! Contact Council Treasurer Tom Graham to signup! The Knights of Columbus are founded on the principles of Charity, Unity, Fraternity, and Patriotism. Council #12387 donated over $74,000 to various charities in 2018, and our charitable fundraisers are an important part of our annual programs. Your support of our fundraising efforts makes these donations possible, so please continue to participate in and attend our many fun events such as Pancake Breakfasts, Tootsie Roll Drives, Fish Frys, Annual Golf Outing, Seminarian Rib Dinner, and of course buying SCRIP cards! If you wish to request a donation from our Council for a charitable activity or group, please click the link above for our Charitable Request Form, fill it out, and submit it to any Council Trustee for consideration.